2:00pm to 3:00pm. Greetings and Luncheon Exchange to the soothing sway of music. 3:00pm to 4:00pm: Showers of Blessings: Scriptural Reading, Homily and Melodies. You may not want to miss the faith soaring opening. 6:00pm -8:00pm: O When the LESANs and OPSANs come Marching In! Tribute Videos requested by the Holy Rosary Sisters. Learn some Irish Steps. The Music plays on. Fundraising. Fun in Context. Benediction. The grand finale is a testament so profound. They gave away everything. We, the LESANs and OPSANs, owe our formative values to the blessings of their sacrifice and enduring benefits of Holistic Education. When they returned from Africa from the 1970s through 1990s, they had nowhere to call home. 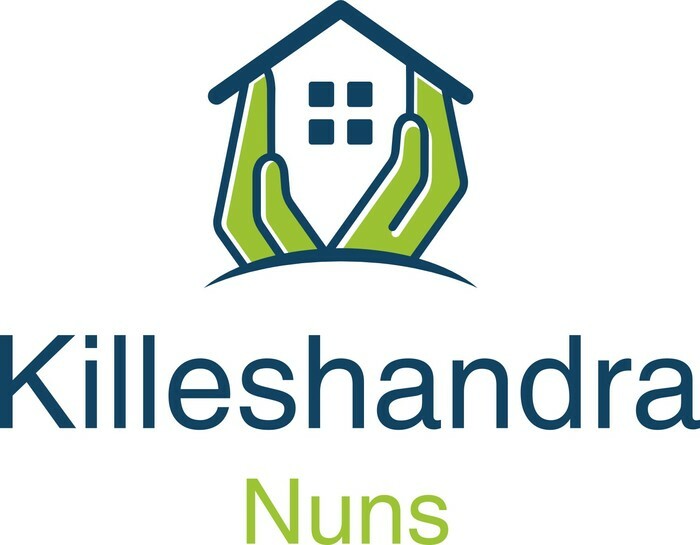 Now in their 80s and 90s, we invite our friends and families, institutions founded on faith, and those with hearts to share, to bring smiles to the Killeshandra Nuns by supporting the place they call home: The Shanahan House. Named for Bishop Joseph Shanahan, who founded the Missionary of the Holy Rosary Sisters Congregation in 1924, the building was inaugurated in August 2014. They have survived dreary conditions but with $4 million in debt to build their retirement home, it is their greatest challenge. While first to raise and give, they are last to ask and receive for their own solace. 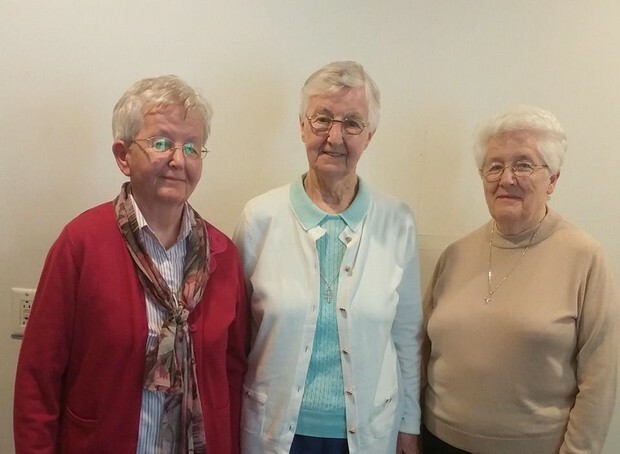 Sharing your time and from the abundance of your heart, any amount reduces the debt and brings comfort to the Missionary Sisters of the Holy Rosary. Make the East Coast kick-off a gift from your heart to theirs. Over 90 years ago, young women set off to Africa to educate and more... based on Christian traditions. To hear their story is an appreciation of the valor of conviction. The LESANs and OPSANs are outcomes of the standards they set, devotion they gave, and commitment they kept. 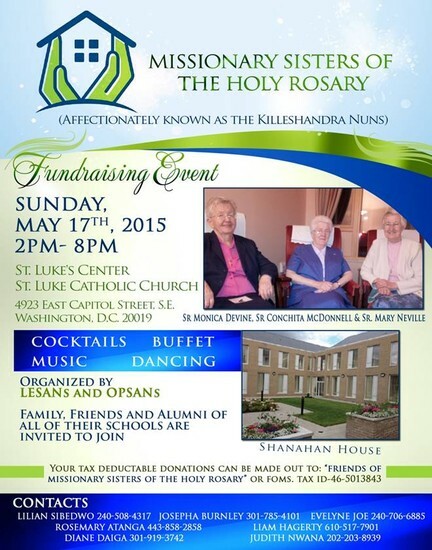 At the height of their service, they were the largest missionary congregation of women simply known as the Killeshandra Nuns in Ireland. Join us on May 17 in the company of "towers of selflessness."